TAIPEI (Taiwan News) -- Tragedy struck on the last day of the Lunar New Year holiday early this morning when a tandem skydiving instructor was killed and his Chinese student was injured after their parachute apparently struck a power line in eastern Taiwan, reported Liberty Times. At 8:38 a.m. this morning, a 58-year-old skydiving instructor surnamed Wang (王), was parachuting in tandem with a 26-year-old Chinese tourist surnamed Tao (陶) in the Mingli Village Mountain Area in eastern Taiwan's Hualien County, when they suddenly struck a high-voltage power line. For reasons that are not yet clear, the two then separated from their chute and fell 30 meters to the ground into a betel nut plantation. When the Wanrong Unit of the Hualien County Fire Department arrived at the scene, Wang had no vital signs, while Tao had suffered an injury to his lower back. Both men were rushed to Taipei Veterans General Hospital Fonglin Branch, where doctors were unable to resuscitate Wang, and he was declared dead. 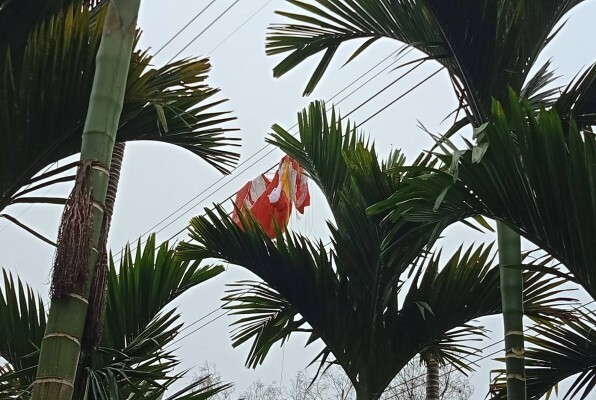 The Fire Department cited Wang's colleagues as saying that, because the weather today was foggy and there were strong winds, Wang might have misjudged the distance from the power lines. When the chute became snagged in the power lines, they speculate that he may have cut the ropes connecting them to the main chute to break free, but suffered a fatal fall before the reserve chute could be effectively deployed.